Jimmy Bain, Dead at 68. He was a very kind and gentle and generous soul and our lives were greatly enriched for having known him," Vivian Campbell writes. Read more: Jimmy Bain, Dead at 68. 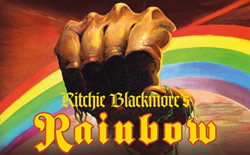 Ritchie is different from what people think. Official Line-Up 2016 - Photo Session.